What's a parent to do when their children regularly complain about their food? It's too crunchy, too mushy, too hot, too cold or worse yet it's touching other food! According to a Zero to Three article, "Picky eating usually peaks in the toddler and preschool years. Many parents worry that their picky eater is not getting enough nutrition to grow. But in most cases, he is." 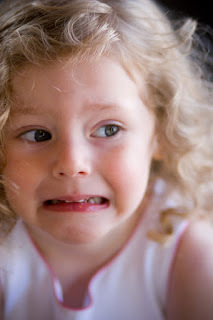 For ideas on handling your picky eater, read their article "It's Too Mushy! It's Too Spicy! The Peas Are Touching the Chicken! (Or, How to Handle Your Picky Eater)".